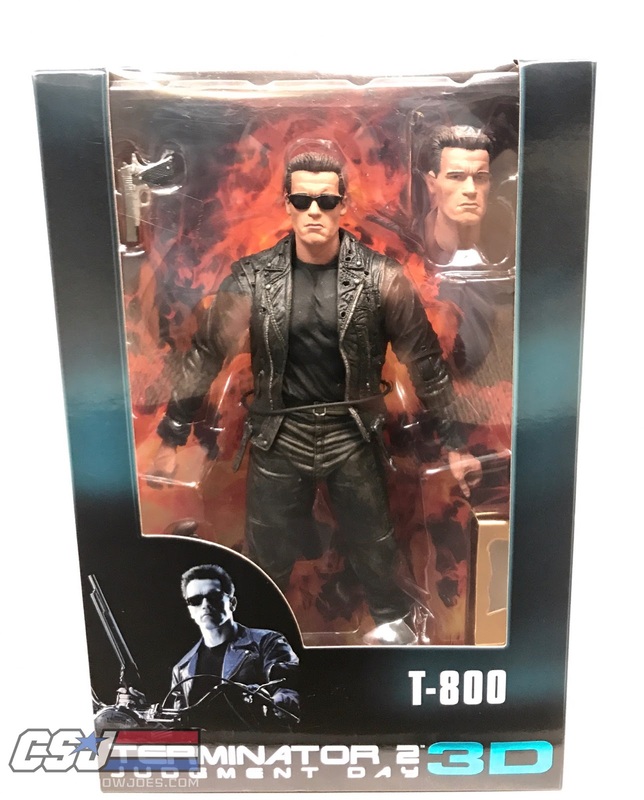 The T-800 comes in a nice window package box with updated art for the 25th Anniversary of the movie. 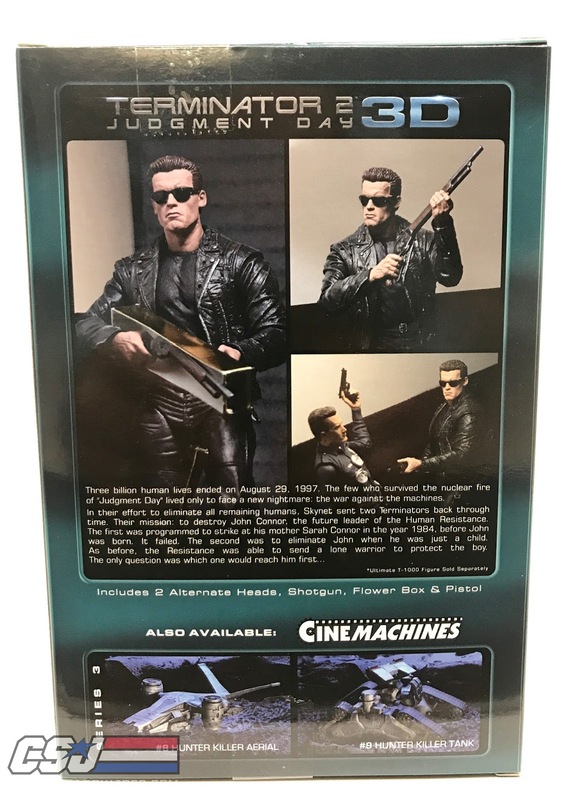 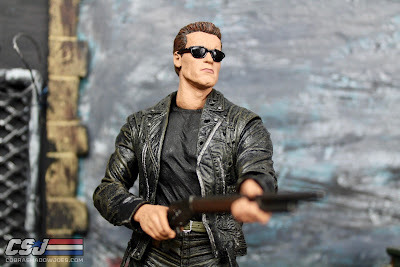 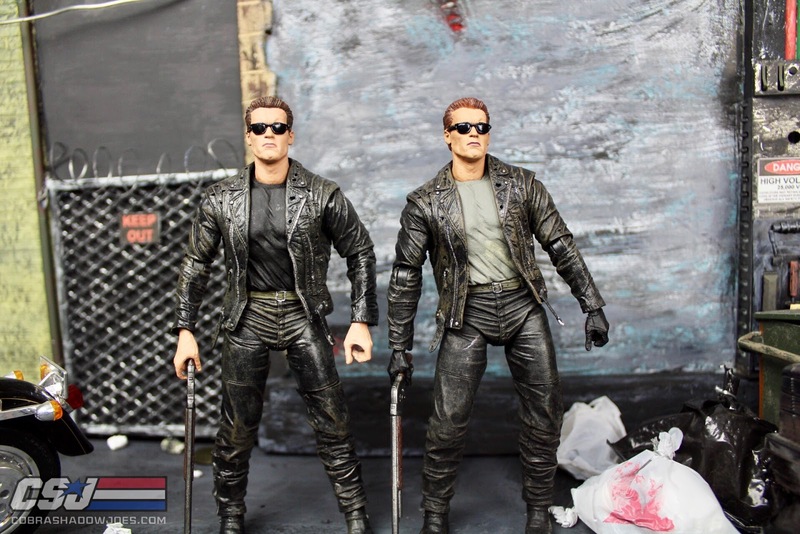 The back of the box includes shots from the shoot out with the T-1000 in the mall, and a sneak peek at whats to come with the Terminator Cinemachines. 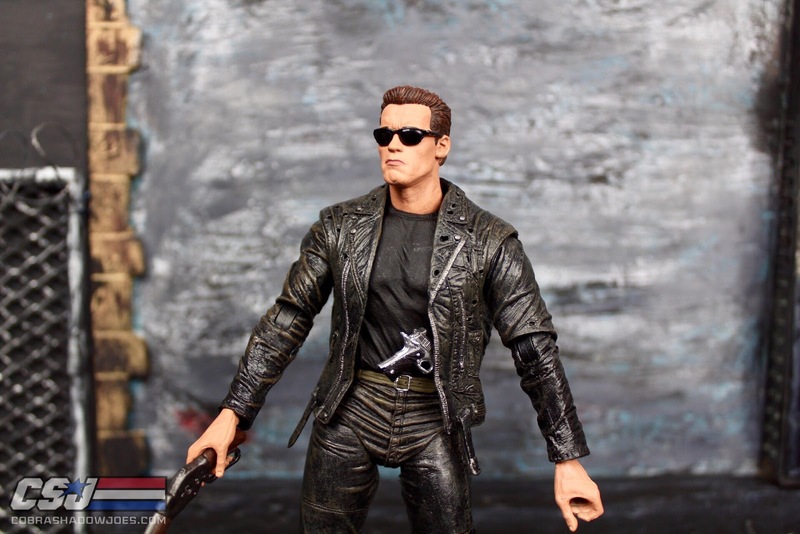 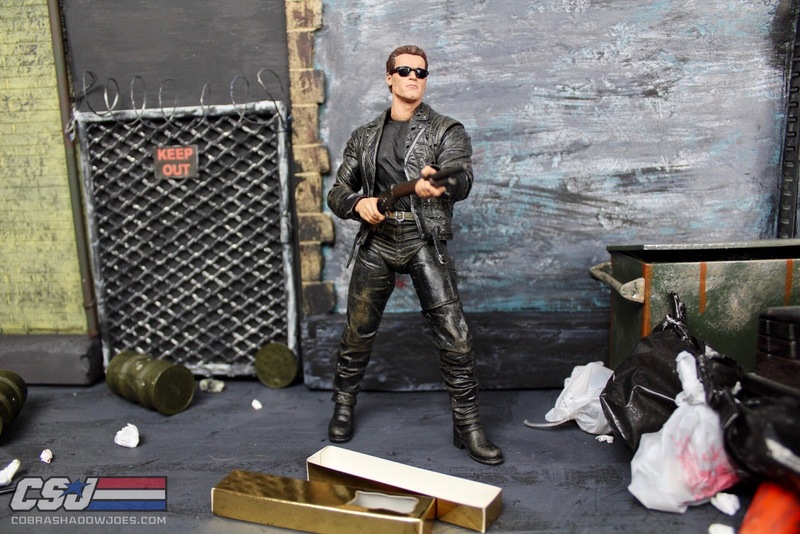 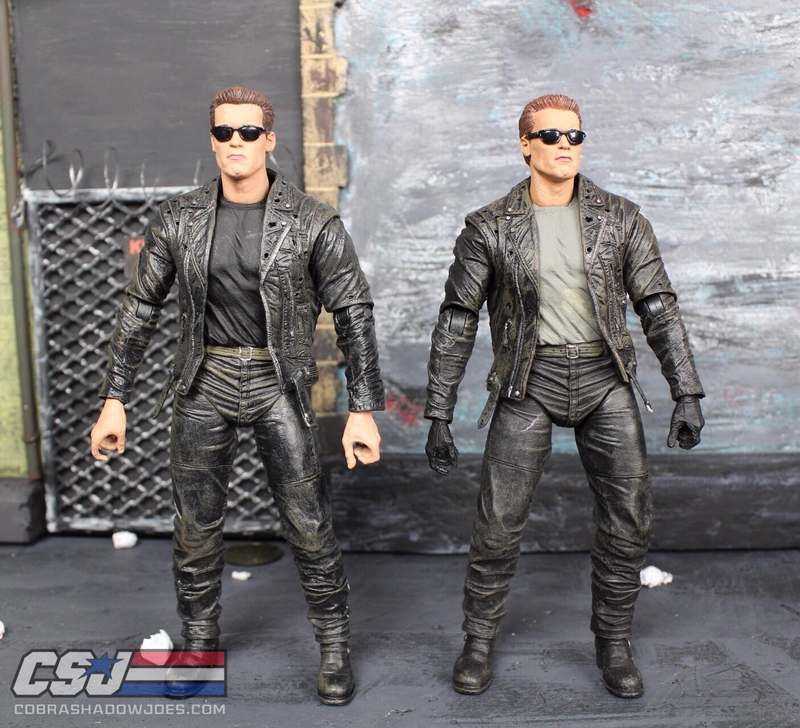 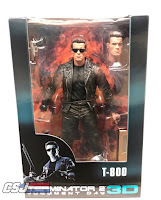 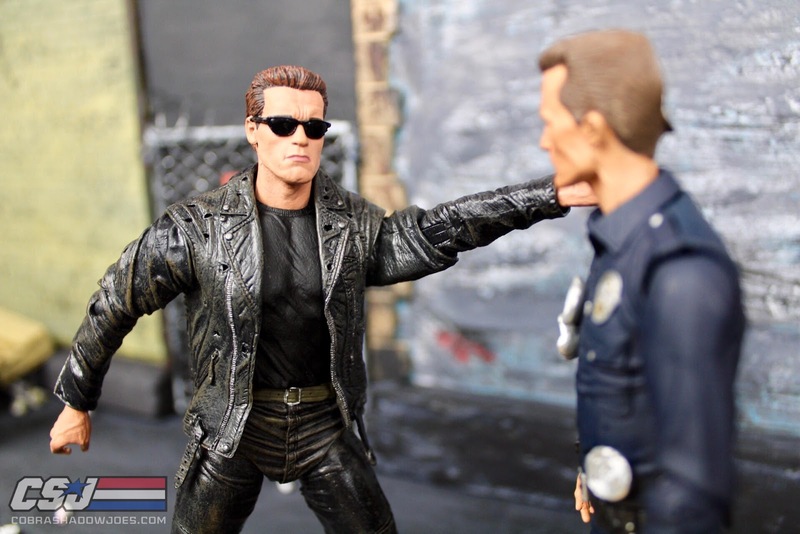 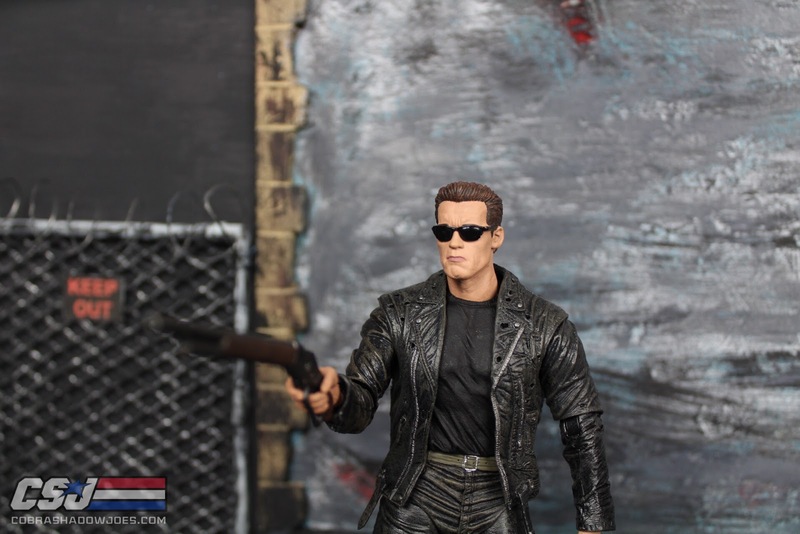 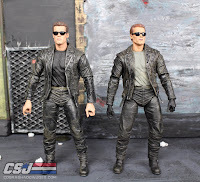 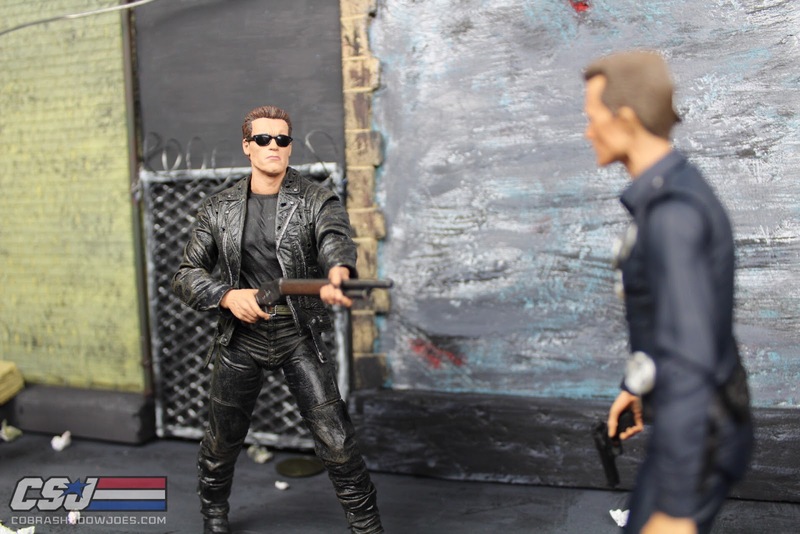 The 25th anniversary T-800 is a nice update from the ultimate T-800 that was released in the past year from NECA. 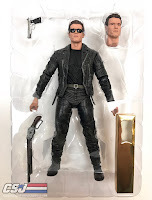 The 25th anniversary version includes skin tone hands instead of black gloves and a black t-shirt that he stole from the biker at the bar. 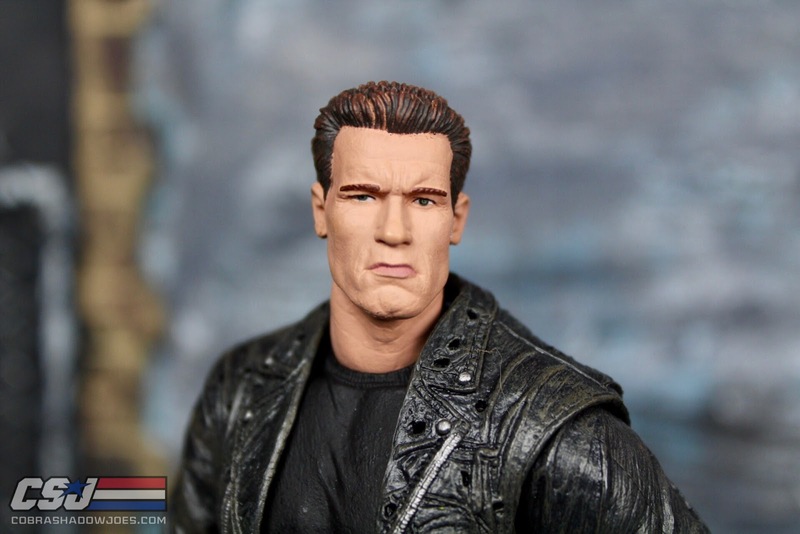 I also think that the face sculpt paint is more accurate to the movie compared to the the ultimate version. 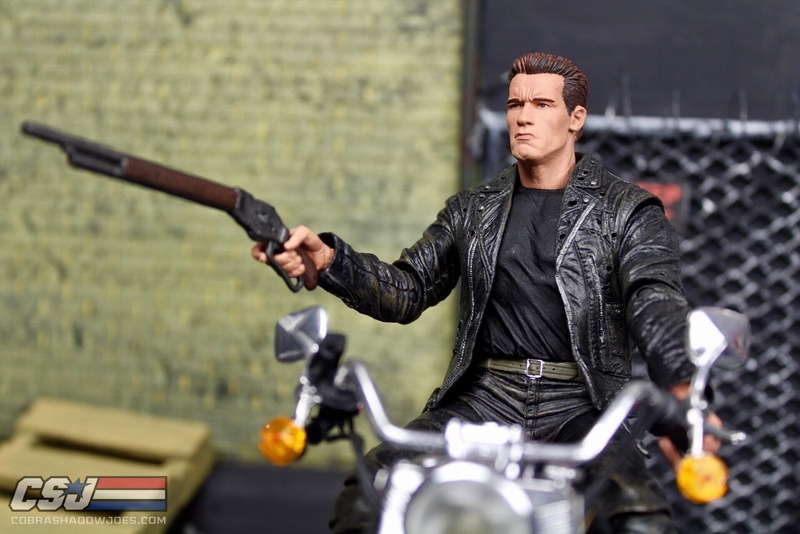 He also comes with his shotgun, pistol and the unique rose box. 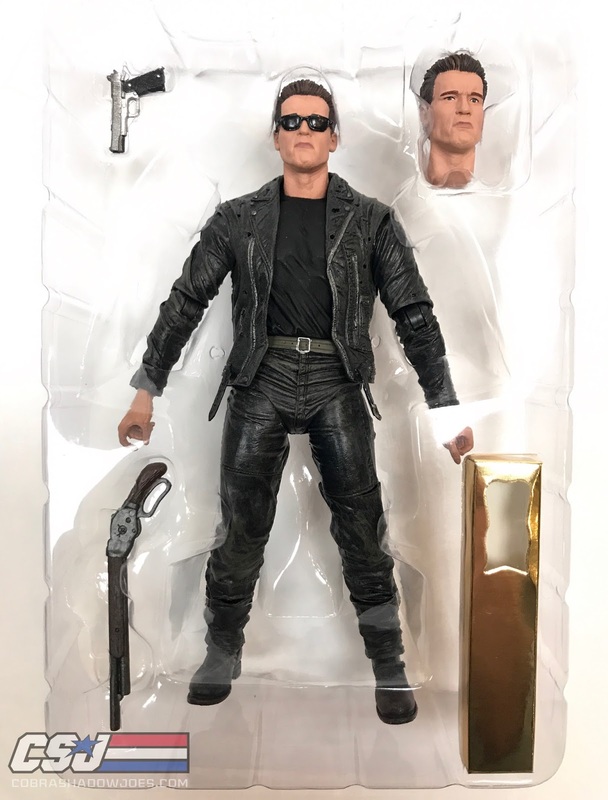 It would of been nice to actually have roses included with the figure, but I found some cheap online that I will be using. 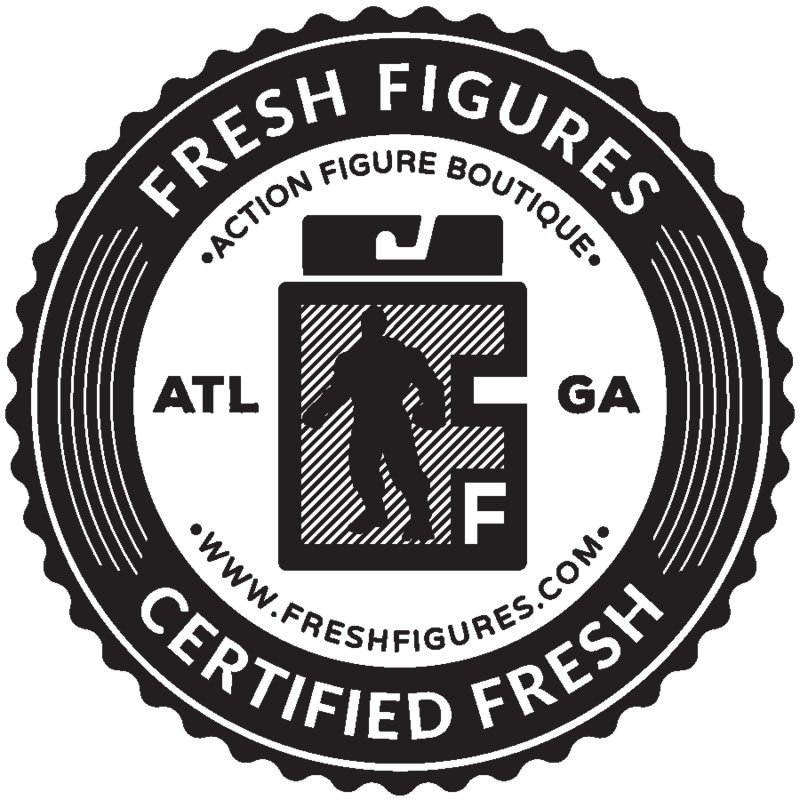 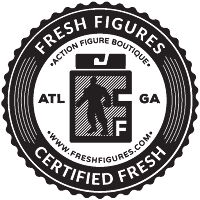 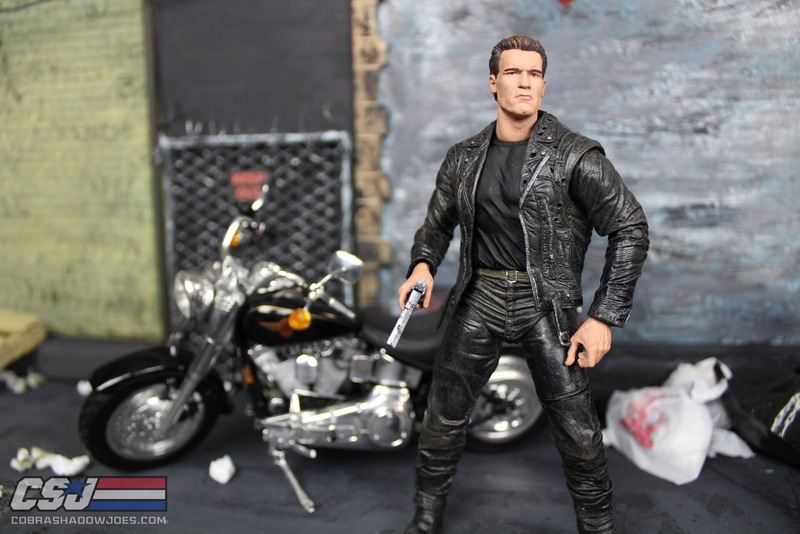 At the price point of $19.99 I think there is enough variance in the figure to say its worth picking up. 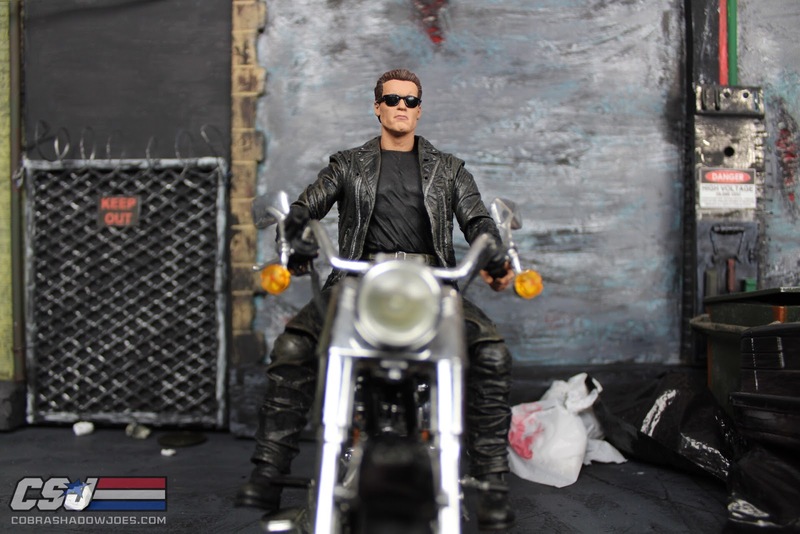 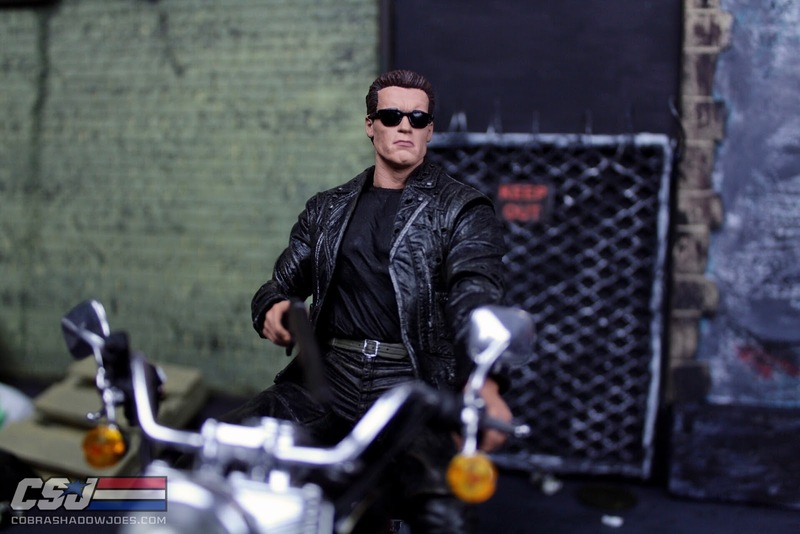 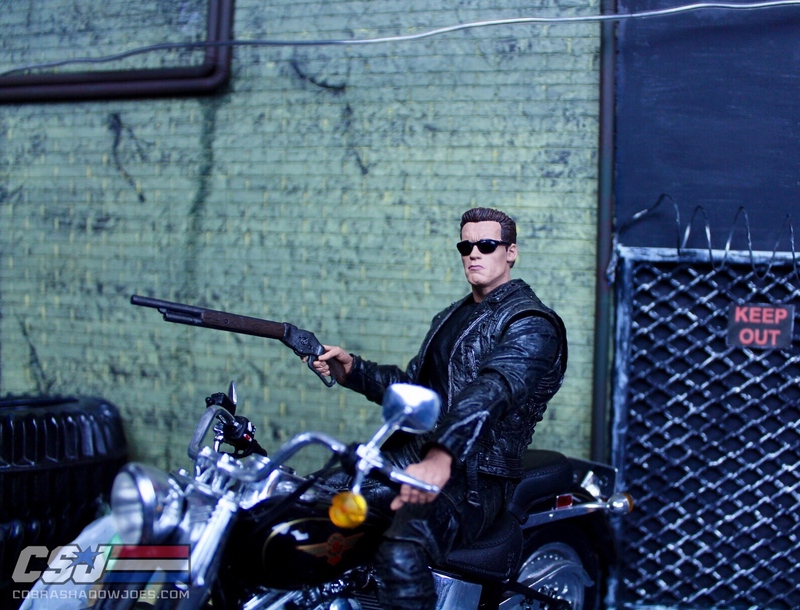 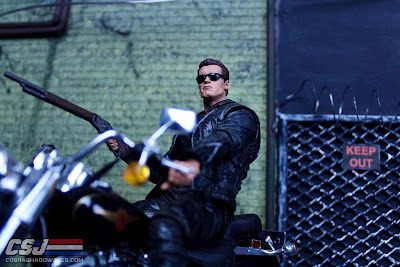 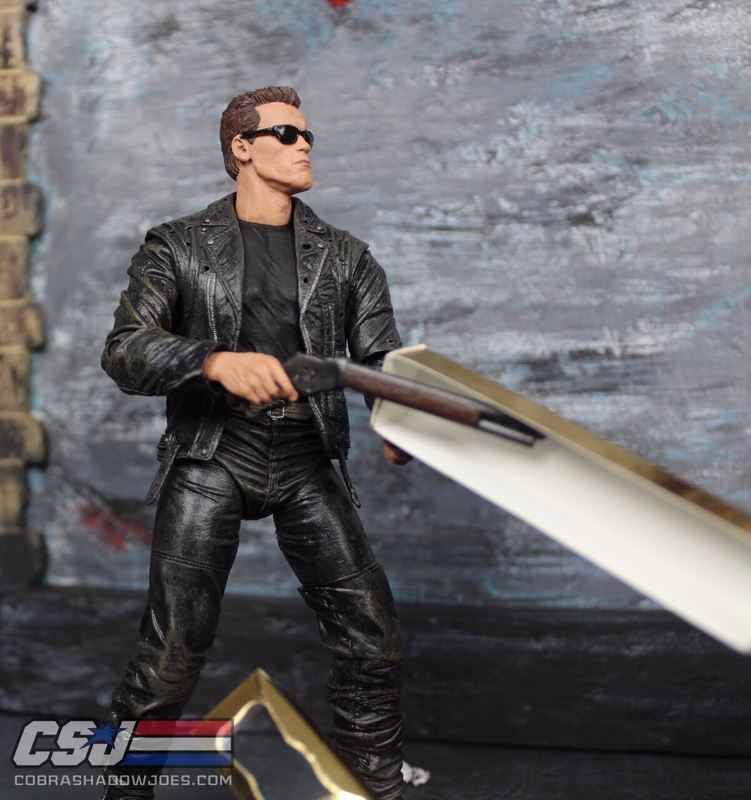 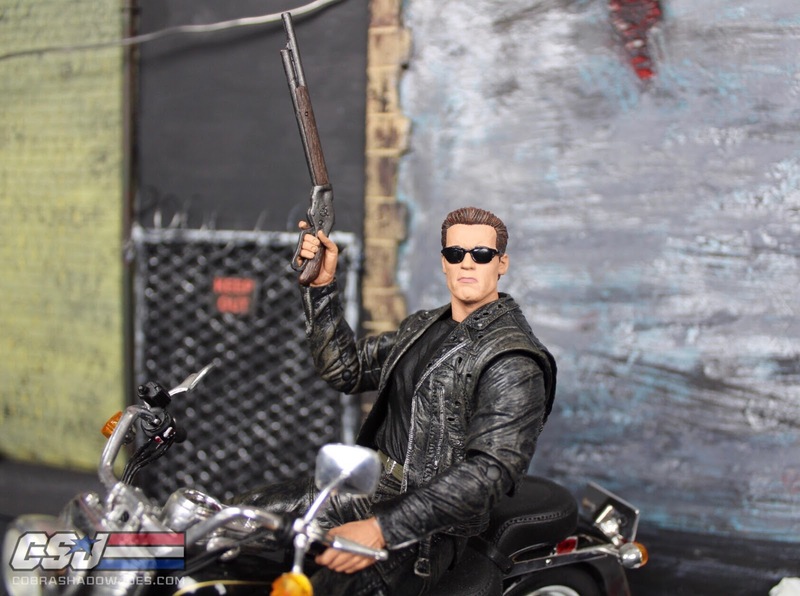 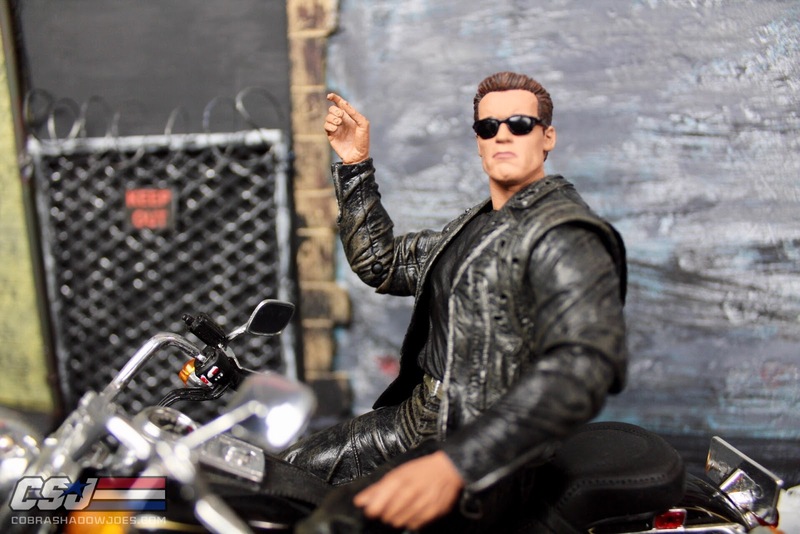 I personally bought it because I am an insane Terminator fan and wanted him to be posed on his bike. 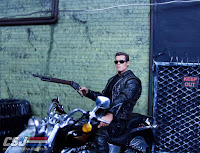 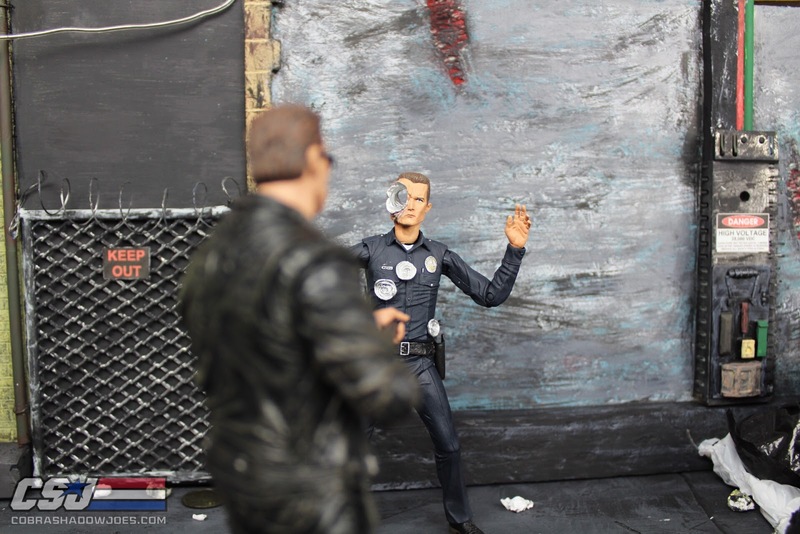 The rose box is very cool and the all around paint applications seem to be a higher quality from the previous T-800. 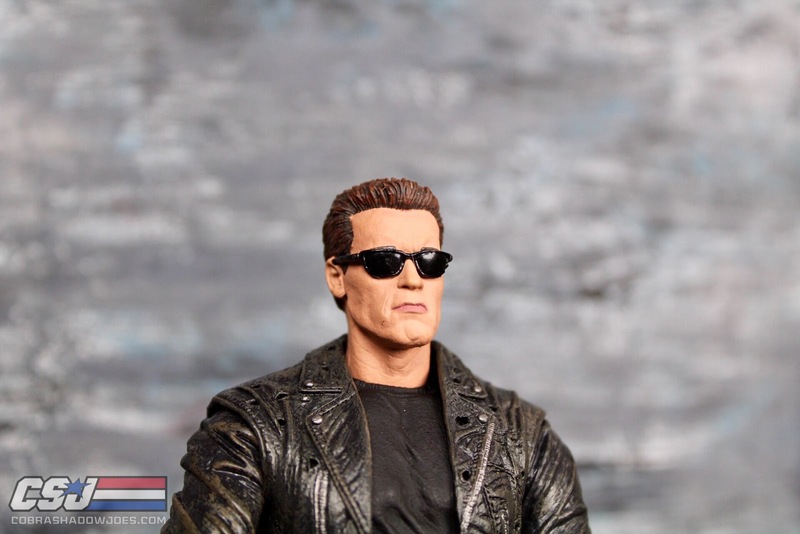 Check him out and let us know what you think and be prepared for Terminator 2 in 3D this summer!